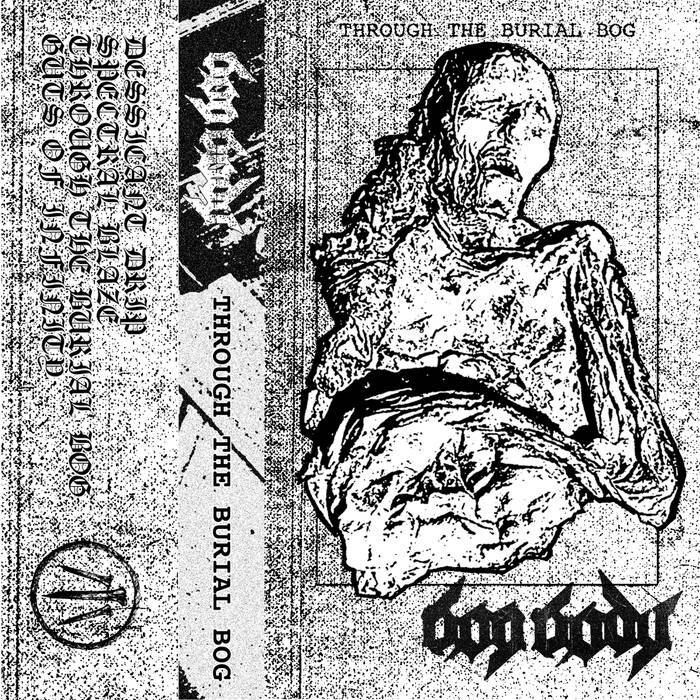 Bog Body are a duo from New York that plays a raw mixture of black, doom, death metal and noise and this is a review of their self released demo "Through the Burial Bog" which was also released on cassette. A very powerful bass guitar sound starts off the album and is also used as a lead instrument in the absence of a traditional guitar while also adding in elements of doom metal into the slower sections of the songs along with the vocals being mostly high pitched black metal screams. Death metal growls are also added into some parts of the music while one of the tracks is very long and epic in length along with a small amount of noise elements also being used briefly as well as utilizing a great amount of raw aggression and as the demo progresses the drums also start speeding up for a few seconds and also adds in a small amount fo blast beats. 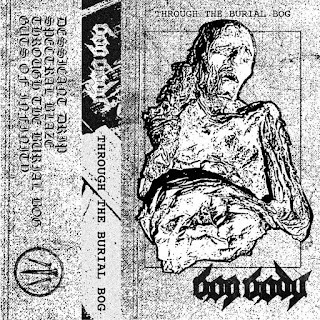 Bog Body plays a musical style that takes black, death, doom metal and noise and mixes them together to create a sound of their own, the production sounds very dark and raw while the lyrics cover death, sacrifice, mythology and religion themes. In my opinion Bog Body are a very great sounding mixture of black, doom, death metal and noise and if you are a fan of those musical genres, you should check out this band. RECOMMENDED TRACKS INCLUDE "Spectral Blaze" and "Guts Of Infinity". 8 out of 10.